Andrew Lewer MBE MP officially launched Northamptonshire Energy Saving Service (NESS) on Friday 19th October at Kings Park Conference Centre in Northampton in the presence of The Worshipful Mayor, Cllr Tony Ansell and Cllr Wendy Brackenberry Chairman of East Northamptonshire Council. The event was also attended by a number of representatives from local authorities and voluntary organisations across the County. Nicky Swetnam, Project Development Co-ordinator from National Energy Action was the guest speaker at the event and provided an overview of fuel poverty issues at both a national and local level. NESS is an exciting new 3 year £1.1million Project funded by National Grid’s Warm Homes Fund which aims to tackling Fuel Poverty across Northamptonshire. 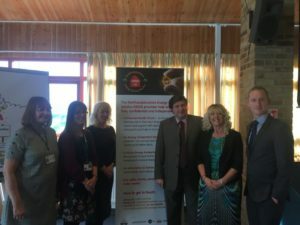 The Project will support up to 6000 households over the three year period was designed and is being delivered by Community Law Service ( Northampton & County) in partnership with Care and Repair (Northamptonshire), South Northants Volunteer Bureau (SNVB) and Citizens Advice Services Corby and Kettering. Northamptonshire County Council are providing a strategic lead for the Project. 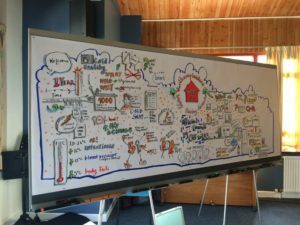 NESS will build on and broaden the scope of current fuel poverty activity in the County targeting services to low income households, older people, people with physical or mental health problems and people in living in rural areas. Key services being provided by NESS include Welfare Benefit and Debt advice, energy efficiency advice, help with switching to better energy deals and a range of practical energy efficiency measures in the home. A key feature of the Project is a Rural Information Centre (RIC) vehicle which will travel across the County to promote the Project services. The RIC has a private interview room and experienced staff will be available to provide advice and support . Julie Silver, Chief Executive of Community Law Service said, “The NESS partnership is delighted to have received this new funding. In the current climate many households on low incomes are struggling to afford their energy costs and as the winter approaches we want as many people as possible to contact us to see if we can help”.